Just give up and move to Ottawa, Quebec City or Hamilton already. A view of downtown Hamilton, Ont., with Lake Ontario in the background. The city ranked third place in Bank of Montreal's list of the best cities for jobs and affordable living. The West is out, and government towns are in. That might be an oversimplification of what's happening with Canada's regional economies, but it nicely summarizes the results of a new ranking from Bank of Montreal. Economists at the bank ranked 20 cities and Prince Edward Island according to the strength of their job markets, housing affordability and taxes. "There are two key reasons to move," BMO senior economist Robert Kavcic wrote in the report. "To find a job, if you don't have one; or to take a better-paying job, if you do." BMO's "ranking of labour market attractiveness," as the report calls it, is purely data-driven. "Mountains vs. lakes, or seafood vs. beef, are among many other important considerations, but such lifestyle factors are ignored here," Kavcic wrote. BMO looked at factors such as median household income, job growth, house prices and rental rates to determine their rankings. They found "a few stark changes" from the same ranking five years earlier. Back in 2013, the list was dominated by cities in Western Canada, which were benefiting from an oil price boom. Today, things look decidedly different. The two top cities in the rankings — Ottawa and Quebec City — are both government towns, and the Western Canadian city hanging in there, at fourth place, is Edmonton — another government town. Note that Toronto and Vancouver are missing from the top of the rankings. They're held back by high housing costs, more so in the latest ranking. Vancouver, which fell to 17th place in 2018 from 11th in 2013, "ranks well down the list despite some of the best labour market metrics in the country. Housing affordability holds the city back in a major way (less so in the also-attractive Victoria market)," BMO noted. Toronto fell from ninth place in 2013 to 19th in 2018 — only P.E.I. and St. John's rank lower. Besides high housing costs, Toronto's ranking may be held back by the fact that the central cities in metro areas "will often show less favourable median income and jobless rate metrics," BMO noted. The beneficiary of Toronto's low ranking appears to be Hamilton, which in recent years has attracted a flood of Torontonians looking for more affordable housing options. That has boosted the city's fortunes, and its place in the BMO rankings. Here are some of the highlights of the top three cities. BMO's complete rankings are below. The number-one city on the list went through a few weak years, economically, "before a wave of federal government hiring set the economy in motion," BMO says. The city boasts the highest median household income in the country and "home prices remain decidedly affordable despite accelerating recently." That may not last, though: House prices are on the rise and the city has even started seeing Toronto-style bidding wars. You may want to get in sooner than later. The number-two city on the list recorded the lowest unemployment rate in the country through the first half of this year, at just 3.6 per cent. "To boot, it boasts some of the most affordable housing in Canada," BMO said. But there are drawbacks. "The tax burden ... remains a drag, while there are surely some language and cultural factors that hold back in-migration from other areas of Canada." Hamilton's strength in this ranking may have everything to do with the larger, economically dynamic city just to the east. 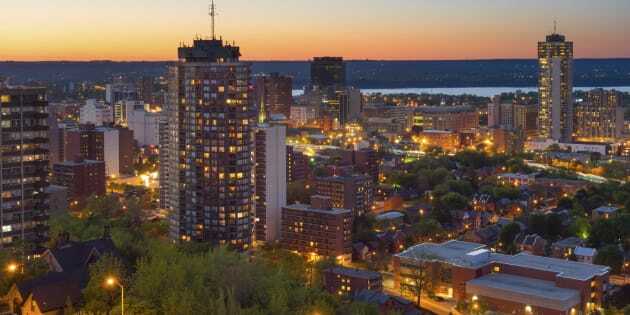 A spillover of Torontonians moving to Hamilton for cheaper housing has resulted in Toronto incomes flooding the former steel town. Labour force data is tied to people's homes, not work locations, so it's actually the strength of Toronto's economy, combined with the relative affordability of Hamilton's homes, that propelled this city to third place. "Given that Toronto has been held back by significant pressure on housing affordability, cities like Hamilton and Guelph, within commuting distance of Toronto jobs, have served as a release valve," BMO said.